Nintendo's favorite bunch of characters is back; Koopa, Toad and the others have prepared many maps inside the Party Cube. Mario, Luigi, Yoshi and an all-star cast of Mushroom Kingdom regulars have been invited, and there's never a dull moment as one to four players compete in 50 all-new minigames. 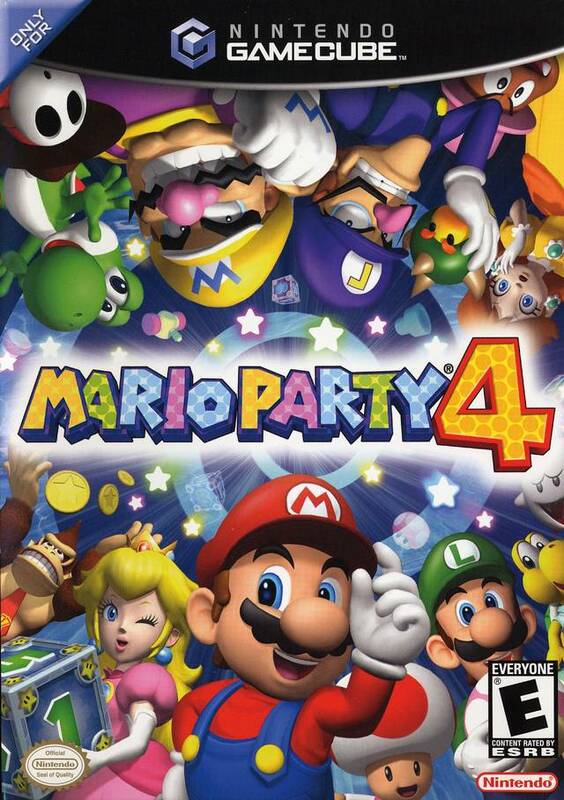 Mario Party 4 is the wildest multiplayer get-together Nintendo has ever thrown. Wroks great,Ive been waiting to get this game!Highly recommended,worth the money. Grandson was so happy to get this game. It is in perfect condition and as always, Lukie sends it out immediately and always happy with our orders. Always a great service, fast shipping is very appreciated. The game is in really good condition. A great game to play with friends. One of my favorites! Ordered the complete one which comes with a case, disc looks perfect and plays flawlessly. Thanks guys!!! Love the game just wish it came with a case. My grandchildren really liked this game. It plays well and they are enjoying it. This order arrived very promptly and in good condition. I was very pleased. It's in a great condition, fun, very enjoyable and brings back good memories of when I paid it as a kid. 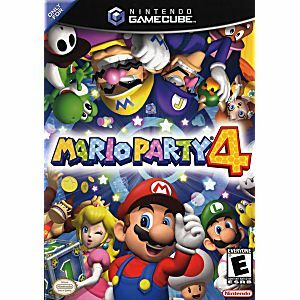 Im a huge mario party fan and this is a really great game!